The successor of one of the most successful e-commerce systems ever built. Magento 2 lifts the whole Magento platform to a new level. With a new code base and much better performance, Magento 2 is now competing with other e-commerce systems for enterprises. The ready-to-use Recolize Magento 2 extension integrates the whole feature set with 1 click in Magento 2. Just install the extension and start using Recolize recommendations without any additional effort. The installation is done completely automatically. After the installation you have to set one option in the Magento Admin interface and everything else is installed without any effort. A product feed is generated containing all your Magento products in stock. This feed is added to the Recolize Tool. Simple and done in minutes. Convince yourself by having a look at our Magento 2 Demo. 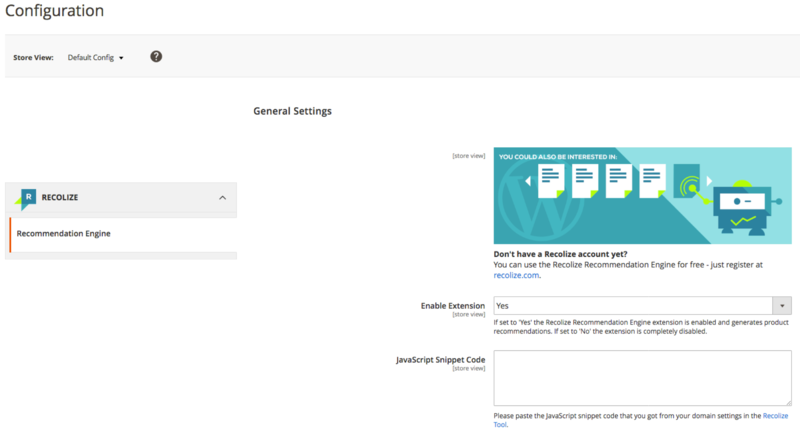 On product pages you can find two Recolize widgets. 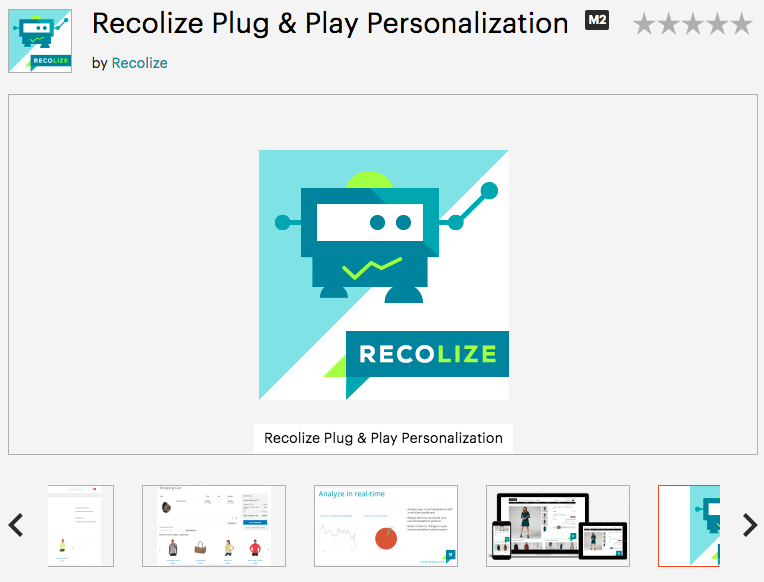 Want to see the Recolize Tool in action? Recolize is ready for the new enterprise level of Magento 2. With our Recolize Magento 2 extension personalized product recommendations work out-of-the-box. The setup is done with 2 clicks and directly afterwards recommendations are displayed on product pages, on category pages, in the cart, on the checkout success page, on search result pages and on 404 pages. Use the recommendations also for the blog of your Magento 2 shop to cross-sell your products also in blog posts, any CMS page or landing pages with our cross domain feature. And use Recolize Email Recommendations to enhance the experience and conversion rate of your transactional emails and your newsletters. The performance of your recommendations can easily be analyzed with our intuitive Recolize Dashboard and the recommendations can then be optimized with sophisticated filter mechanisms. You are free to filter for all your Magento product attributes and therefore you are extremely flexible.